PrabhasMyHero Blog: Baahubali 2: The Conclusion to wrap up by December 27? Baahubali 2: The Conclusion to wrap up by December 27? It’s safe to assume Baahubali: The Conclusion is one of the most awaited films of 2017! After a stellar first part, fans can’t wait to catch the second installment. The Baahubali team has been shooting for a long time now, it didn’t seem like it would ever end, but now we have good news. As per reports on leading portals, the team is expected to wrap up talkie portions by 27th December. Post which, the team will move into post-production mode to be ready for April. 2017 release. Wow! Only few more days for the wrap of Baahubali 2! Sadly, the Baahubali journey for the cast, director and the technicians comes to an end. We bet it will be an emotional moment for everybody involved in the film, because when you give away so much of your time for a magnum Opus like this one it’s more than a film, it’s an experience of a lifetime. Of course, for us fans this wrap up only means, we are now nearing the release. Once an official annoucement is made, we are sure the countdown for the most awaited sequel will begin! Baahubali;The Conclusion will finally answer the most asked question – why did Katappa kill Baahubali. The story will finally be complete, or for all you know it will end with another story to look forward to. Apart from answers to questions, the film will be grand in terms of visuals, architecture, war scenes. 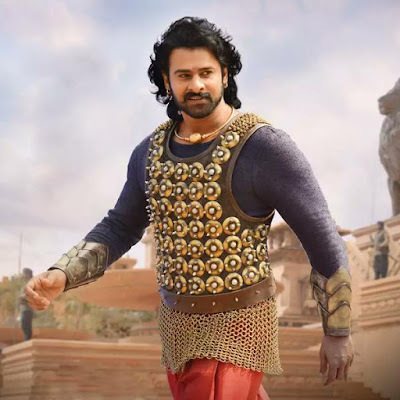 The first look was unveiled on October 22, in the presence of the cast and crew – Prabhas, Tamannaah Bhatia, Anushka Shetty, SS Rajamouli, Producer Shobu. 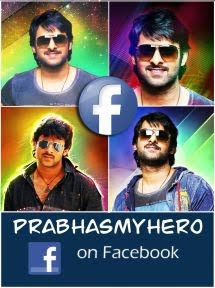 It showed Prabhas in both his forms – Mahendra Baahubali And Amrendra Baahubali.